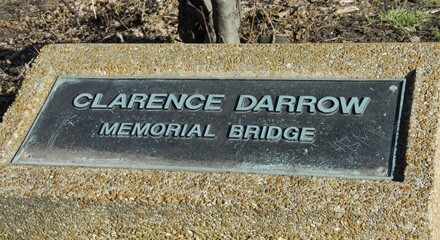 The Bridge to Darrow, a celebration of the life of attorney Clarence Darrow, begins with a short ceremony at Darrow Bridge, behind the Museum of Science and Industry, and continues inside the museum with free lectures and discussions on causes championed by the legal pioneer. Cinema Slapdown, the combination film screening/debate, this time around features Facets founder Milos Stehlik and psychiatrist Frederick Miller duking it out over Craig Zobel's Compliance. At the Chicago Architecture Foundation, a group including architect Richard Becker, writer Susan Benjamin, and preservationist David Muslin discusses the preservation of the Edward Dart-designed Ancel House. Do This Arts The Bridge to Darrow Clarence Darrow Darrow Bridge Museum of Science and Industry Cinema Slapdown Craig Zobel Compliance Becker Architects Ltd. Susan Benjamin David Muslin Edward Dart Ancel House Chicago Architecture Foundation Lunch Talks @ CAF.